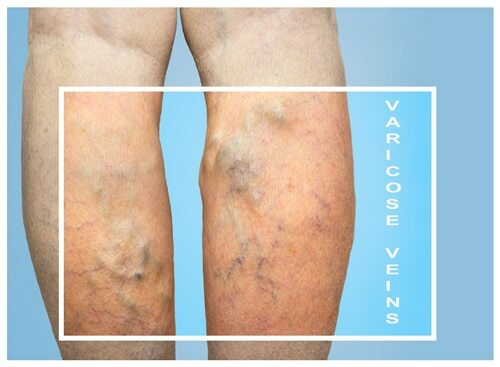 Varicose veins are the dark blue or purple, bulging veins that can be seen through the skin. They are caused by an inability of the veins to properly return blood to the heart. Therefore, the blood pools in the veins and causes them to become swollen and discolored. Varicose veins are often caused by venous reflux disease. Typically, you can know that you have varicose veins by looking at them. These veins protrude above the skin’s surface (though they are still covered by skin), and they look like a tangle of rope. The area around the veins might be swollen, as well, or the veins may appear raised on their own. These veins appear on the legs, and they can appear as low as the ankles and as high as the groin. However, they are usually found on the back of the calf or knee. They are next found most often on the inside of the thigh. Sometimes, these veins are painful, and sometimes they are just an aesthetic issue. For some people, varicose veins are painful enough to limit their mobility or impact their quality of life. Some symptoms can include restless legs, muscle cramps, itching skin, swelling of the ankles, a heavy feeling in the legs, and throbbing pain. Some people are not able to walk when these symptoms present, while others just can’t stand for long periods of time. Blood clots, skin ulcers, and other problems can appear if you have a serious circulatory problem that is contributing to the varicose veins. These issues require immediate medical attention. Fortunately, there are many options for treating varicose veins. Milder cases can be treated non-surgically. For example, sclerotherapy can seal the veins with a chemical solution and lasers can fade spider veins. Lifestyle changes like getting more exercise, wearing compression socks, regularly elevating the legs, losing weight, and avoiding long periods of standing or sitting can help prevent the condition from worsening. Surgical options are available for more serious cases of bulging veins and those that cause serious pain and swelling. For example, a catheter can be inserted into the vein to heat and seal it with radiofrequency (RF) technology. Since the RF technology uses a low temperature, it does not damage the surrounding tissue. 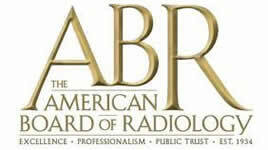 Therefore, patients do not have as much pain or bruising than with some other treatments. Contact Coastal Vascular Center Today! The Coastal Vascular staff is comprised of carefully selected medical professionals who are equal parts experienced and caring. Dr. Ayar is outstanding with his patients, he's like a throwback to the type of patient care you could expect from a house call. He's attentive, kind, informative, personable and extreme knowledgeable. The clinic itself is patient driven and the staff provides leading interventional radiology care while minimizing the disruption the care may cause after treatment. I highly recommend Dr. Ayar and Coastal Vascular Center! Staff were extremely friendly and Dr. Ayar really helped with the vascular issue I was having in my foot. Complete recovery! Dr. Ayar was very informative and patient with me. I was extremely nervous before my procedure, but him and his staff patiently walked me through it and calmed me down. They told me what to expect, and it went smoothly! Highly recommended! Same and next day appointments available!